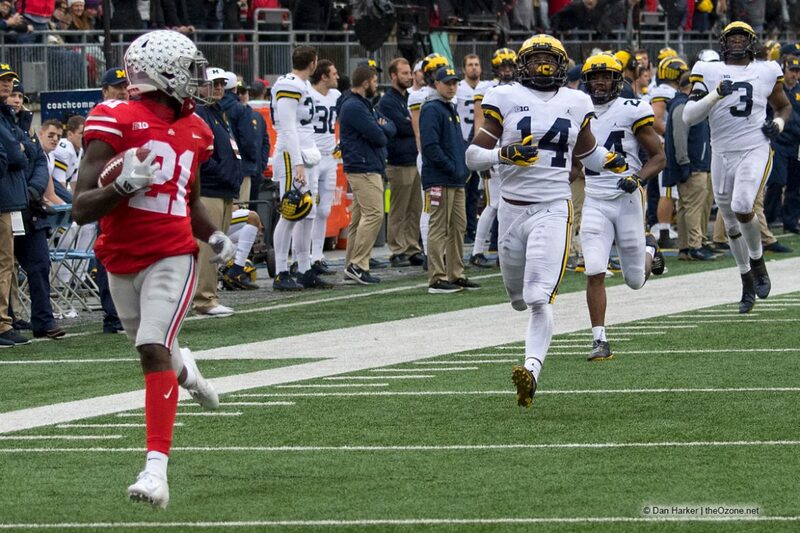 The sportsbook BetOnline.ag has posted their college football games of the year, and in the only game that truly matters in college football, Michigan has been installed as a 6.5-point home favorite over Ohio State this November. If Michigan stays the favorite, it would mark the second year in a row that they were favored over Ohio State. Last year, the Wolverines were favored by 3.5 points in the week leading up to The Game, and the number grew to 4.5 and 5 in some spots. The Buckeyes ended up covering by 28 points or so points. If Michigan remains the favorite, it would mark the first time since 2003 and 2004 that the Wolverines were favored in back-to-back games against the Buckeyes. BetOnline has Michigan favored in all of their big games next season: -6 at Wisconsin, -5.5 at Penn State, -8.5 over Notre Dame, -13 over Michigan State, and -6.5 over Ohio State. The Buckeyes, meanwhile, are favored in every other big game they play: -7.5 at Nebraska, -9 over Wisconsin, and -10.5 over Penn State. 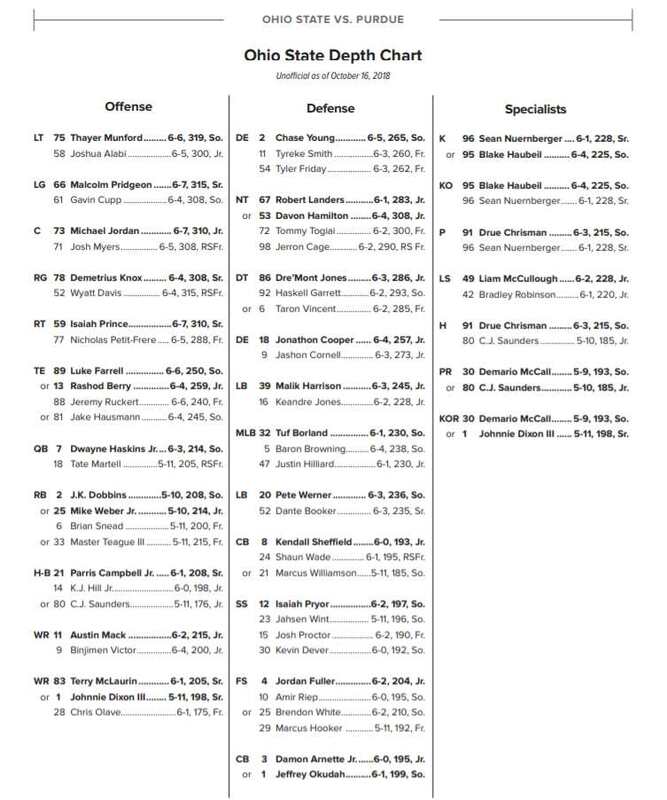 Some other big games listed include Florida -8.5 over Tate Martell’s Miami Hurricanes in week 0, and Joe Burreaux and his LSU Tigers -6 at Texas in week two. LSU is listed as a favorite in each of their big games, save for the one that sends them to Tuscaloosa, where they are a 17-point underdog. Clemson is an 18-point favorite at home in week two over Texas A&M. Georgia is -11.5 at home over Notre Dame in week four. Way to early. Someone’s just out looking to make a few bucks. In other news, Patterson won his 2nd consecutive Spring Heisman Award. So, congrats on that!!! Way too soon and irrelevant, as lots of fans just want OSU to win by 1, each year… For those of you wagering, that’s another story. Lots of football to be played before we see who’s who and what’s what, on the field in late November. Those betting lines are not necessarily a reflection of who they think will win the game, but more a function of where they want people to bet. That’s why the line changes as the week goes on. If they feel there’s too much money bet on one side, they adjust the line to encourage bettors the other way. Ideally, they would like a zillion dollars bet each way and they clean up on the “juice,” or the difference in what what you bet and what you win. Typically betting 6 to win 5 etc. yeah, kinda sports-betting 101. only correction is that lines are NEVER a reflection of who the book thinks will win a particular game–assuming they are successful in having action 50-50- on each side, they absolutely don’t care at all. their business is not about predicting at all. that said, if a book taking $ posts mich-6.5 today, that line would move so far south so fast to adjust to onslaught of Ohio St. money, it wouldn’t be funny. even 8 months removed, sharps may even jump in big time.